What I learned climbing Island peak for the 10th time was there are still too many people trying to climb this mountain with no mountaineering skills. I have lead 12 climbs on Island peak over the past 8 years and reached the summit on 10 out of 12 times. 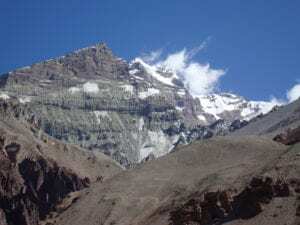 Ian Taylor Trekking have lead over 60 trips to climb Island peak. After this April’s attempt was thwarted by snow and high winds I was determined not to get our team caught out again. 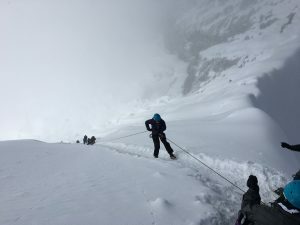 What I learned climbing Island peak for the 10th time is you need options and more flexibility. At Ian Taylor Trekking we have 3 nights in Namche Bazaar 11,500 feet before moving up the trail to Island peak. All the research and from my experience over a decade in this region you need more time lower to acclimatize well before moving to higher altitudes. We always want to have options to give people the best chance at a safe and successful ascent and descent. In April we had the option to spend 2 nights at high camp 18,200 feet and give the summit two chances. What we should have done was move to high camp a day early which would have given the team a better chance at a safe summit attempt. It is really important to have a GPS device with weather forecast options. You should also have a satellite phone so you can call back to the office and double check the weather forecast before going higher on the mountain. 3). Who were the team and how prepared were they? What I learned climbing Island peak for the 10th time was our team were in great shape and excellent physical preparation is so important in safety and success. 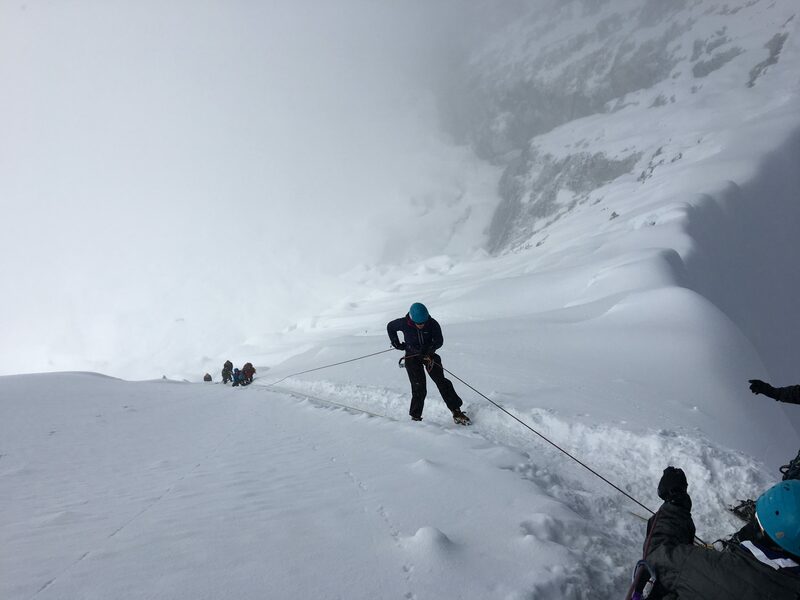 We had 7 climbers all highly motivated to reach the summit. We had team members from Poland and Ireland this time. Each person came with mountaineering experience, all comfortable abseiling on a figure of 8, they all performed well in Jumar, abseil and ladder training. Most trained in Scotland, and followed our advice on training for Island peak. The ladder training was important as there were 4 ladders attached together high on the glacier with the summit in reach. There are not always ladders to cross but in my experience you should always be over prepared as anything can happen on a mountain that requires more of you. 4). 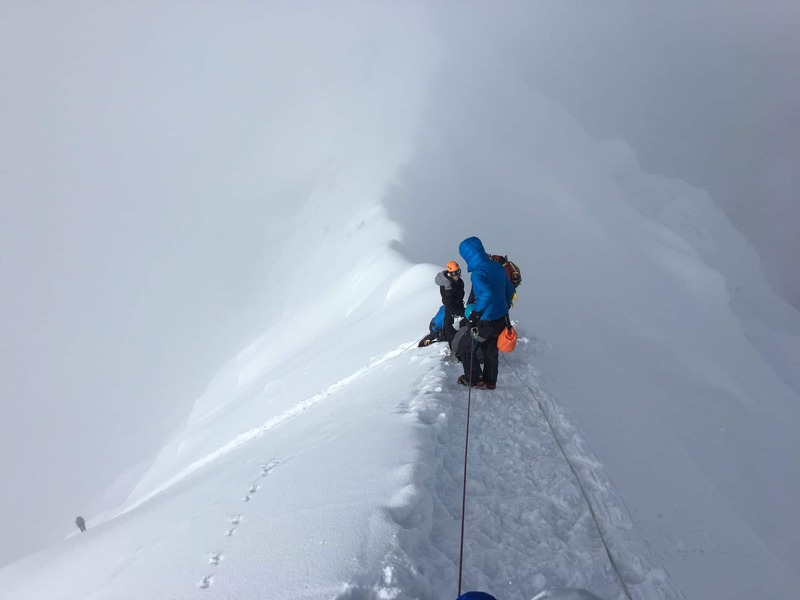 How did the summit attempt on Island peak go down? From base camp on Island peak we moved from 16,800 feet at 12:30pm and arrived at high camp 18,200 feet at 2:25pm. Most of the team went rock hunting just above Island peak high camp. We rested at high camp until 12:30am woke up, drank a liter of water, had a light breakfast and prepared for the 2am departure. The team moved up to the glacier from high camp in 2 hours. We left high camp at 2:06am and we were roping up at 4am in the dark and by just after 5am we were getting closer to the long ladder crossing with a little bit of light on the horizon we could see the head wall and the remainder of the climb up to 20,305 feet. From the ladder crossing it took us 2:30 minutes to reach the summit. It was all hands on deck to manage the ladder crossing. 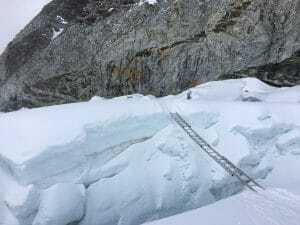 Normally we would have our lead climber go ahead fast and fix new ropes to the summit, so we were delayed because of the ladder crossing. Once we got the ropes in place it was slow going up the head wall at 60-degree angle to the ridge line. It was steeper towards the top. The mountain scenery is truly stunning and worth all the effort. 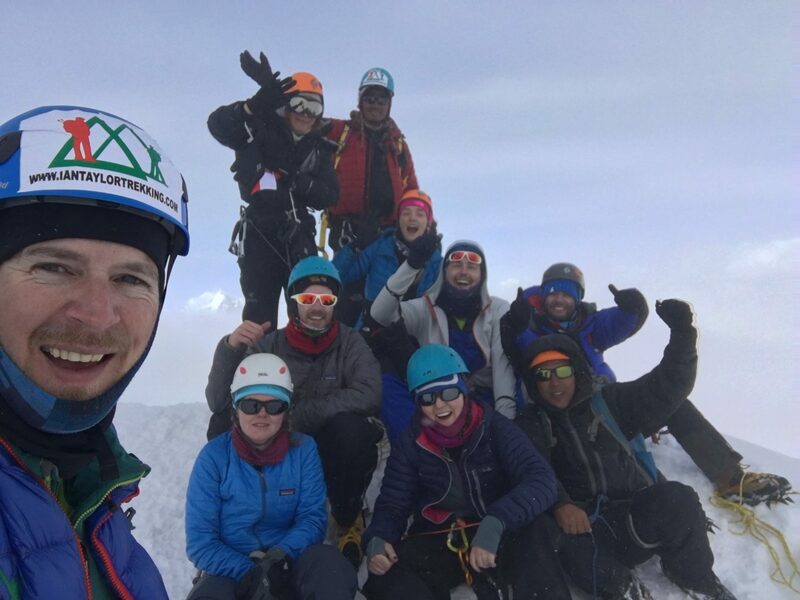 The whole team reached the summit just before 8am. As we reached the top the clouds started to build, there was some light snow and visibility was no so great. It was time to start making our way down. It was slow going abseiling, crossing the ladders and glacier. Once we got back to high camp we had 30 minutes to pack up all items and start the 3 hour decent back to base camp and Chuckung at 15,500 feet. 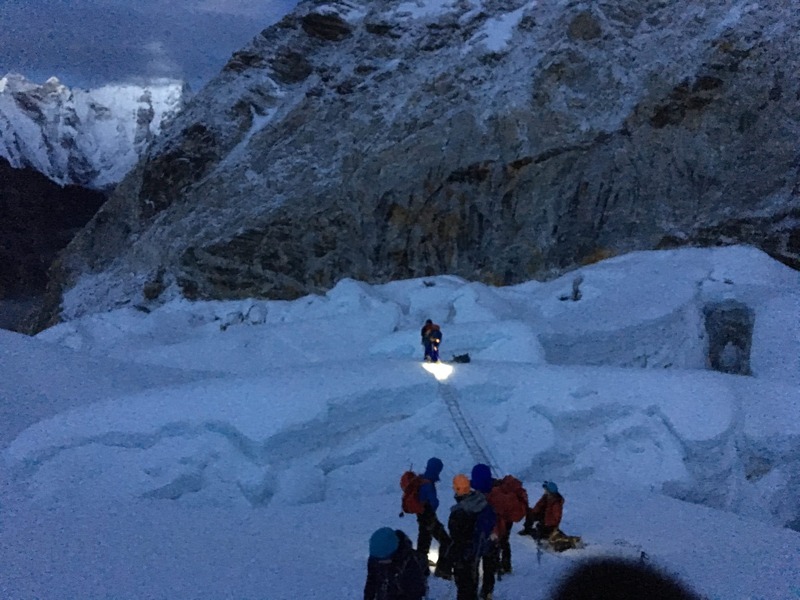 What I learned climbing Island peak for the 10th time, once again, none of the other teams had their own ropes or safety equipment. They did not have quality climbing Sherpa staff and their acclimatization and preparation buts everyone at risk. As I was coming down, the level of safety of our people coming up was poor. The people I saw were under prepared and struggled their way on the head wall. They were also in an abseil position pulling themselves up the ropes which is dangerous and bad for the anchor points. I am always glad we have our own ropes. I had to pull up our rope to stop others getting on our fixed rope. This is super annoying for teams trying to climb Island peak the right way. People really need to do more physical preparation. Island peak is a serious challenge and deserves more respect. Island peak is not a trekking peak. You need to be competent abseiling on a figure of 8. 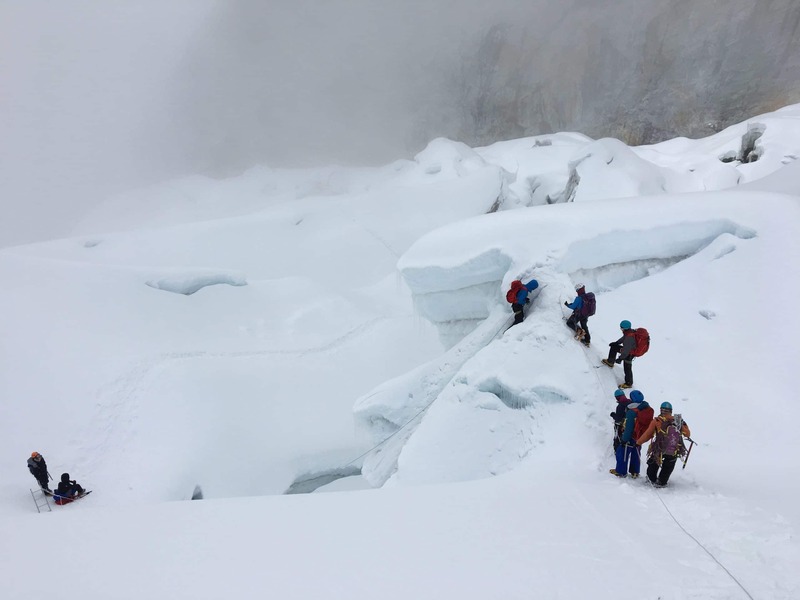 You need to train with crampons on ladders. You also need to have an excellent level of strength and conditioning. You need to come over prepared for mountaineering trips not under prepared. What I learned climbing Island peak for the 10th time was you need to come in excellent physical shape. We have the itinerary, safety and set for you. You need to be fully prepared to give yourself the best chance at a safe and successful summit.